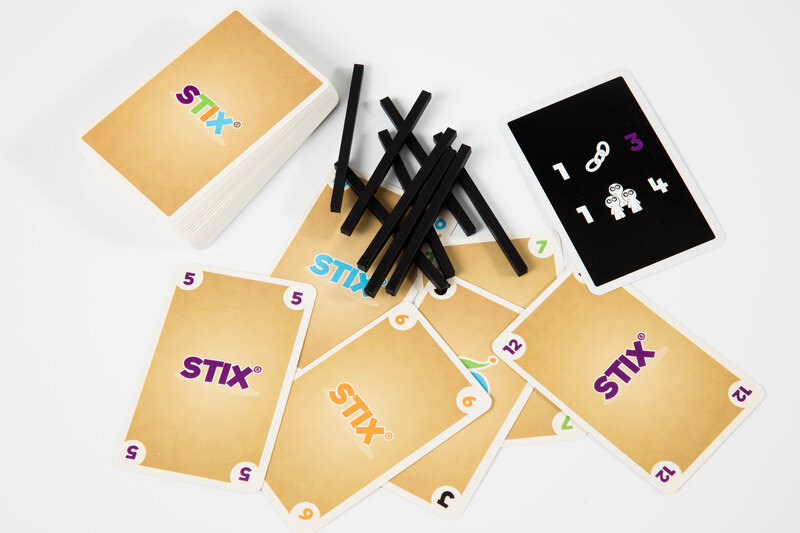 STIX builds on the well-known game of Rummy but has a somewhat different game play. 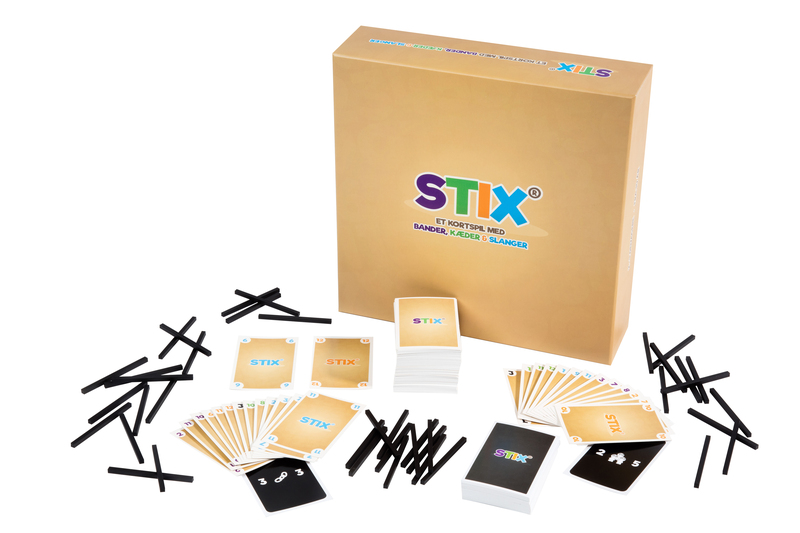 Each round starts out with each player drawing a random mission. When you complete your mission you can finish the round by laying down the rest of the cards following the rules of Rummy. You get one point for completing the mission and one point for finishing the round. The missions consist of a number of gangs, snakes or chains. Gangs are cards with same number value. Snakes are a series of cards in number value changing between two colours and chains are cards in number value in the same colour.